I've felt that this year was a very lack luster Halloween. 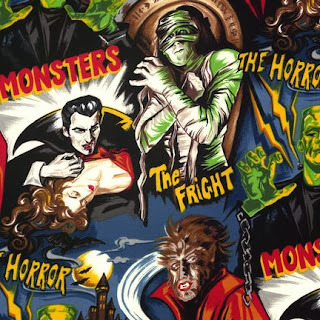 Retailers didn't seem to have much Halloween product - at least none that got me overly excited and it seems even fewer (retailers, neighbors, etc.) decorated this year. As it is, there's severe weather for tonight causing a ruckus - some areas wanted to declare last night as Halloween so kids could trick or treat without weather problems. Blah. I did go to a Halloween party this year. I had been informed it was a costume party and dressed up. Turns out I was the only person who dressed up. After receiving stares and downright gawking I finally asked where everyone else's costumes were only to discover that costumes were optional and it was suggested that people dress up but they didn't have to as I was instructed. Gee people, it's a Halloween party liven up! After breaking the ice though the party was better (no more social awkwardness!) even if I was wearing my generic/can't-think-of-anything-creative costume. Generic costume in all its glory. My boots make me 5'11"! Now for some shameless selfies. I was very impressed with how my hair turned out even though I used to wear it that way, rather often, back in the day (as in three years ago, ha ha). I have work this afternoon. Not dressing up though I thought about it. Shoot me for my lack of creativity - I thought of being a cat. Had I done so, it would have been my fifth time or so. 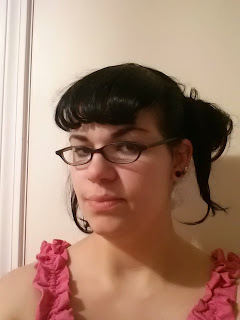 I'm also (rather frequently) the Bride of Frankenstein (big surprise). 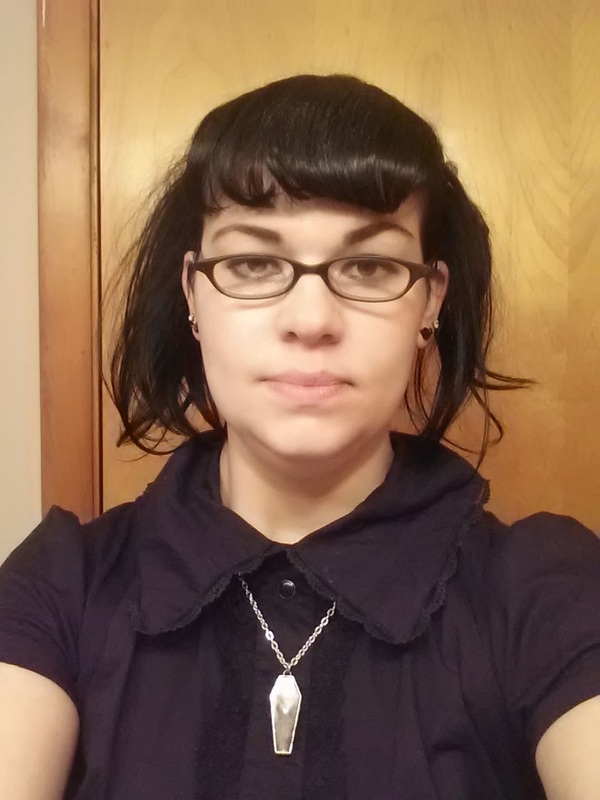 Instead, I'm opting for cute and scary with my Paperdoll Productions Monster trim top most likely paired with a pencil skirt - both Halloween and office appropriate. Monster fabric on my top! I love this print! 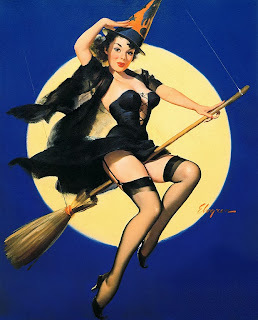 And finally, some of my favorite pinup Halloween images.